World famous physicist Stephen Hawking says humankind should colonize other planets to ensure the future of the species. He claimed armed aggression could end civilization and that space travel would provide somewhere to go. While taking an American visitor on tour of London’s Science Museum, the physicist said colonizing other planets could be “life insurance” for whatever embattled remnants of the human race still existed following a nuclear apocalypse. “Sending humans to the moon changed the future of the human race in ways that we don't yet understand,” he said. “I believe that the long term future of the human race must be space and that it represents an important life insurance for our future survival, as it could prevent the disappearance of humanity by colonizing other planets,” he added. His remarks came while he escorted Adaeze Uyanwah, from Palmdale, California, around the museum, a prize she won after producing a blog and video describing her “perfect day” in the capital. Hawking also said, were it possible, he would eradicate aggression from the list of human shortcomings, saying it had the capacity to end humanity. “The quality I would most like to magnify is empathy. It brings us together in a peaceful, loving state,” Hawking said. Uyanwah, who is a teacher and a creative writer, beat tens of thousands of contestants to win the prize. 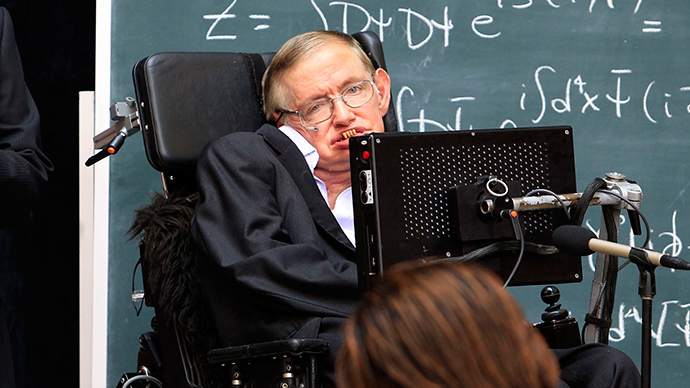 Hawking has previously issued other bleak warnings about the future of the human race. In December last year, he said artificial intelligence had the capacity to spell the end of civilization.